A flawless tulip or rosetta on a freshly poured latter doesn’t happen by accident. They exist because of two things: the barista’s skill, and the quality of the milk used. A poor-quality milk will lead to lifeless froth and foam that has a habit of disappearing before the drink has even made it to the customer. And just as the birthplace of the beans can dramatically change the way a coffee tastes, the origin of the milk can be the difference between a perfect cup and one that’s fast forgotten. Here we dive into the science behind heating the perfect milk and why your choice is so important. Make sure you read further and don’t forget to comment. There’s more to real milk than the red, green, and blue bottle tops. Every farm produces milk with a different fat and protein content and grade of sweetness. The milk’s exact qualities all depend on what the dairy cows eat, the conditions they are kept in, and how the milk is treated after it’s been collected. Personally, I judge everything based on taste however there is actual science behind which types of milk are best for baristas. A milk with a higher level of protein, sugar, and butter fat produce the best milk for texturing. What actually happens when we steam milk? The process involves introducing hot water vapour (250–255 °F, 121–124 °C) into cold milk (40 °F, 4 °C) until it reaches the ideal temperature for a “perfectly steamed latte”. The process sounds simple enough – but there are a host of variables that need to be considered. The most important factor is that different milks require different amounts of steaming time. It is important to get this right as too high a temperature can lead to scalding. Scalding kills bacteria and denatures enzymes, causing curdling and considerable damage to a milks foam and texture. This is most common in your alternative milk choices like soy or almond. Personally, we advise to heat alternative milks to no more that 55˚ to assist with reducing the chance of curdling. No one wants a coffee which has the consistency of cottage cheese. YUCK! Why Are Some Milks Different to Others? Milk has three main components: proteins, carbohydrates, and fat. Proteins make up around 3.3% of milk, with skimmed and semi-skimmed milk having a greater ratio of them to carbohydrates and fat. This protein content can in turn be broken down into two main types, casein and serum. Serum, or whey proteins, contain the majority of the nine essential amino acids. They can be coagulated and/or denatured by heat, giving cooked milk a distinct flavour. Caseins, on the other hand, form something called “micelles”. When steaming, the injected air bubbles disrupt these micelles. The molecules then encompass the air bubbles, protecting them from bursting and creating foam. 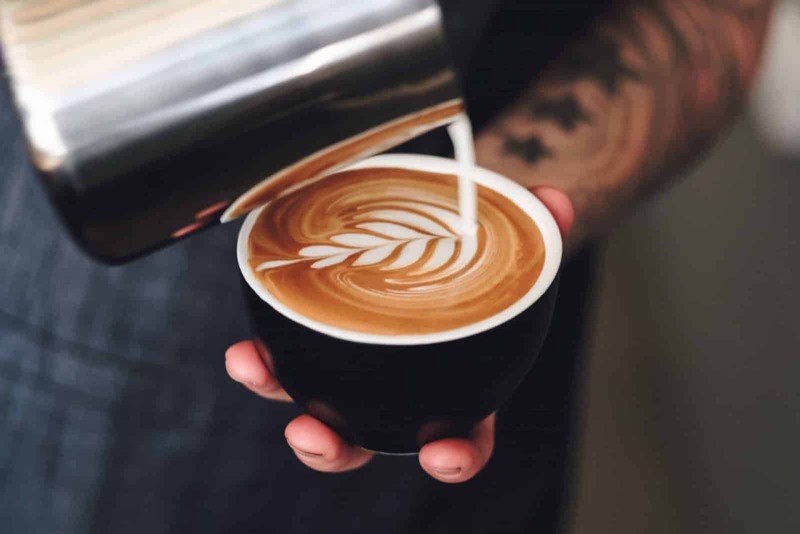 Let’s simplify that for you: the different protein content of different milks affects each milk’s ability to maintain that frothy foam decorating your latte. You should know that whole milk results in a thicker, creamier foam, while skimmed milk results in more foam and larger air bubbles. When you steam milk past a temperature of 100 °C, this causes “browning”. At this point, the lactose and milk proteins form what is known as an Amadori product. As the reaction continues, the Amadori product can undergo dehydration and oxidation reactions. It’ll lead to a loss of nutritional value, and unappealing flavour compounds in the milk. In other words, avoid over-steaming as it will give you a microwaved milk taste rather than a creamy sweet flavour profile. The last main constituent of milk is the milk fat. Over 98% of it is fatty acids of different types, including saturated, monounsaturated, and polyunsaturated fatty acids. Like protein, these fat molecules can stabilise the formation of foam by surrounding the air from the steam wand and entrapping it in a bubble. 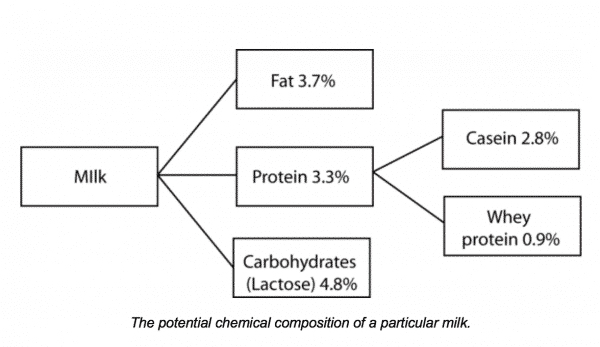 Higher fat content will lead to more stable foam at temperatures below room temperature, while milks with lower fat contents (like skimmed milk) are better at stabilising foam at higher temperatures. This could be due to the reduced surface tension of the fat along the air bubble surface, itself a result of an increase in fat percentage. Heating up these fat molecules doesn’t just affect foam texture. When heated or steamed, the fatty acids also participate in chemical reactions, such as oxidation reactions. In turn, this can give rise to an undesirable flavour. The moral of the story is that each component of milk contributes to its ability to froth and foam, and steaming influences each of these components. The origin of coffee is subjected to a wide range of sustainability debate and regulations to ensure that farmers are in line with regulations and procedures. Some roasters even go as far as to have opinion that the way a coffee is farmed and handled can affect the aroma and sweetness of a coffee. So is this also the case with milk? Do we need to start looking into the different breeds of cows, different dairy farms and even the diet the cows are fed? Personally, I have not had enough caffeine today to start that discussion so will leave it for another day. I hope you found the above interesting and have a new-found appreciation to the thought process in choosing the perfect milk to make the perfect coffee. I would like to dedicate the scientific side of this post to the Barista Lab Milk in the UK and the Perfect Grind. If you wish to hear more about the in’s and out’s of coffee make sure you stay in touch and follow us on facebook.